National Philathropy Day has been a signature event since the early 1990's. Each year there are two types of recognition. 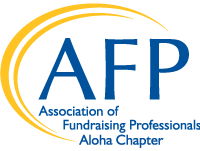 Recognition for NPD Award Categories (below) and recognition for volunteers who work selflessly at local nonprofits and organizations, identified as Volunteers in Philanthropy (VIPs). 2015 - James Kawashima, Esq. 2014 - Allen L. Zecha, Ph.D.
2000 - Dr. Earl E. Bakken, P.E. 1993 - Richard Mamiya, M.D. 1991 - Henry B. Clark, Jr.
1993 - Margaret Y. Oda, Ed.D. 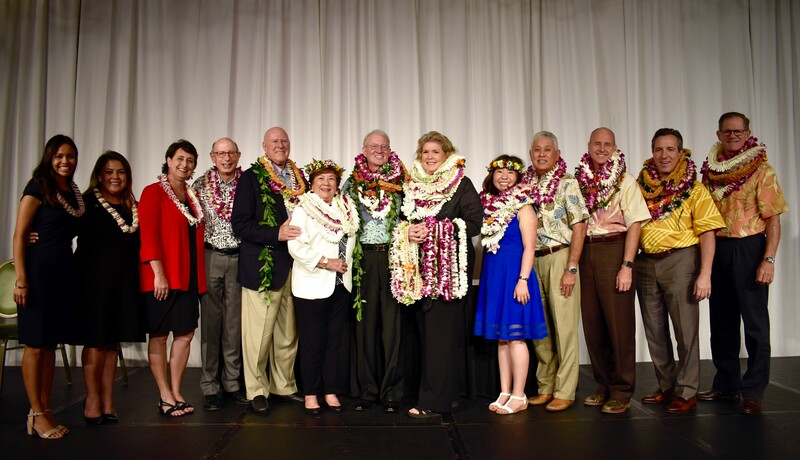 1996 - Howard F. Salmon, Jr.
2018 - Servco Pacific Inc.
2016 - First Insurance Company of Hawaii, Ltd.
1997 - Foodland Super Market, Ltd.
2008 - Olu Kai, Ltd.
2002 - Valley Isle Motors, Inc.
2001 - Dowling Company, Inc.
2017 - Henry B. Clark, Jr.
2000 - Henry A. Walker, Jr.
1994 - The Harry and Jeanette Weinberg Foundation, Inc.